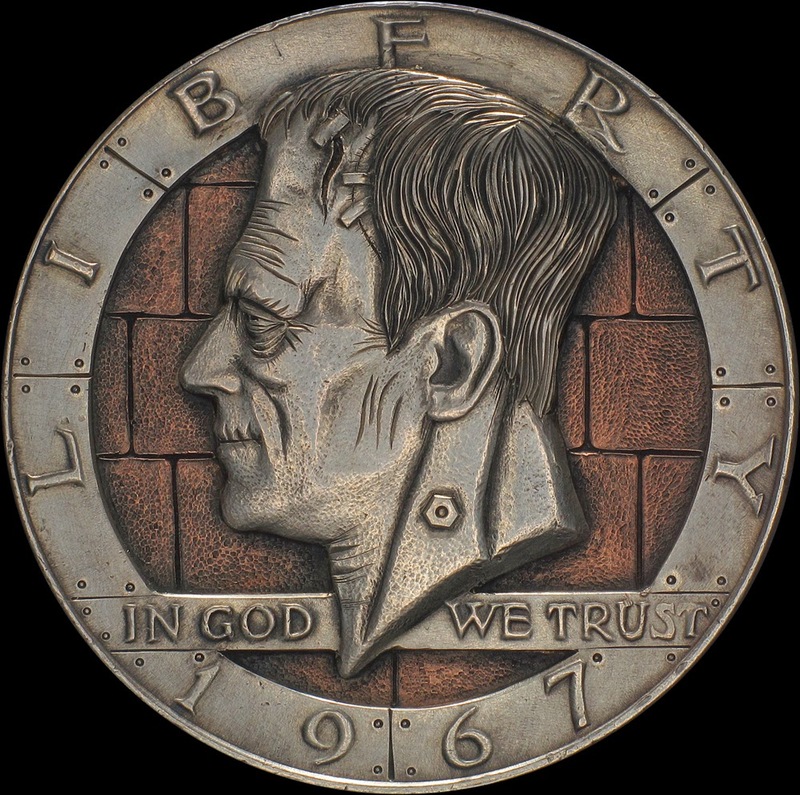 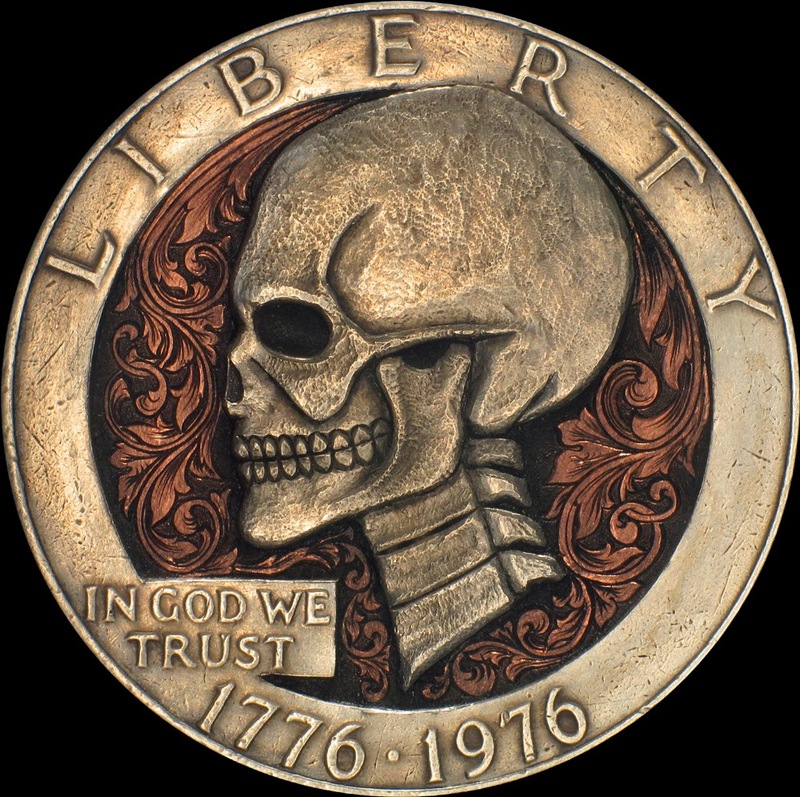 Complex and intricate sculptural carvings of American Nickels. 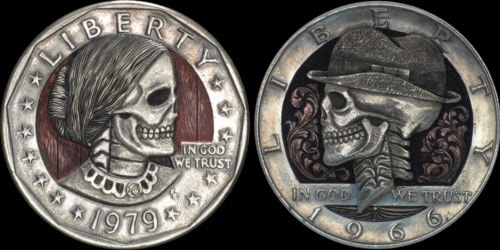 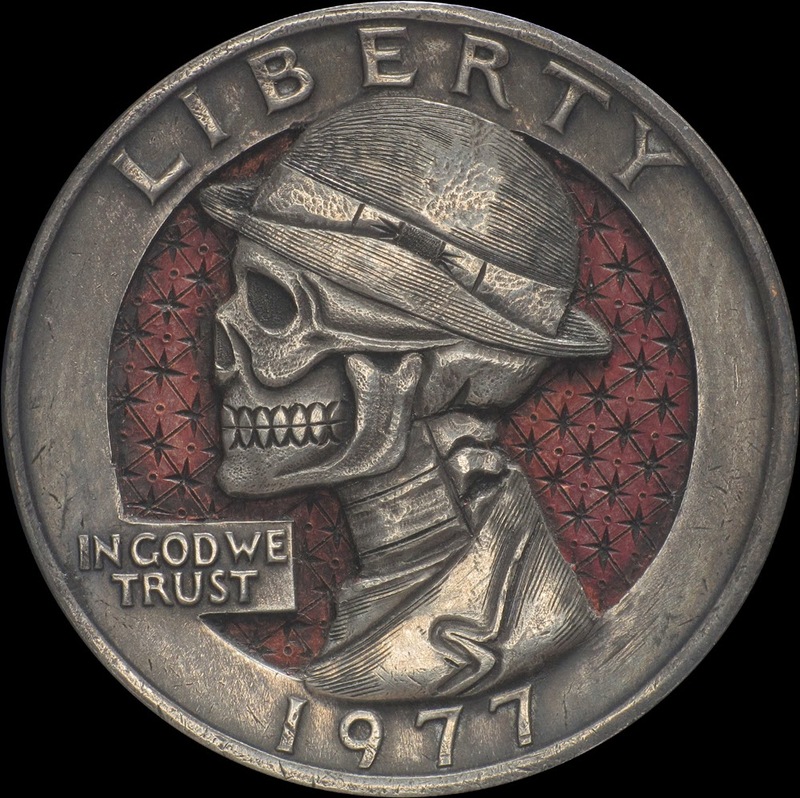 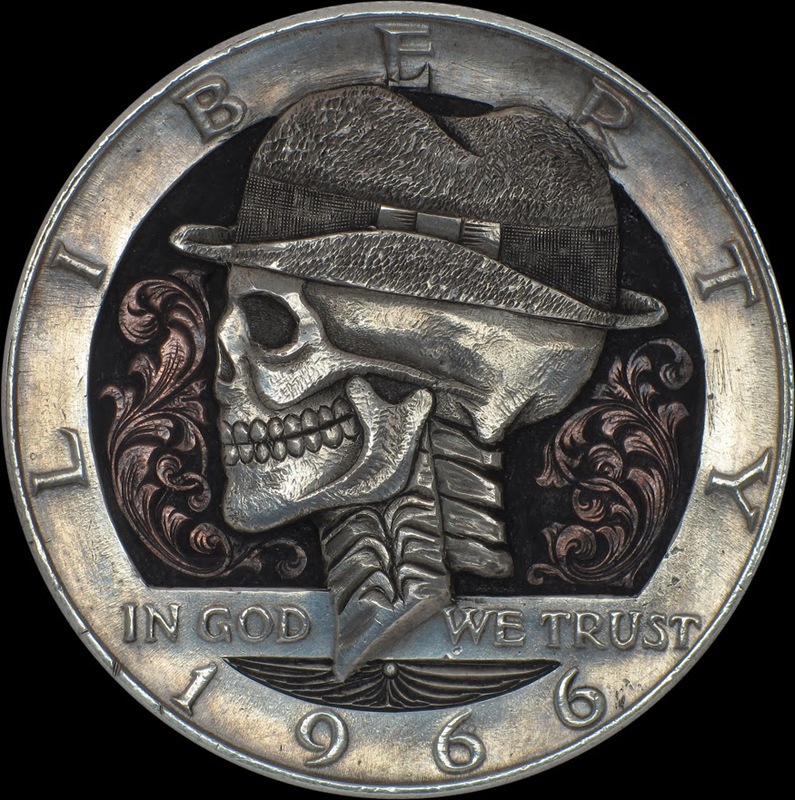 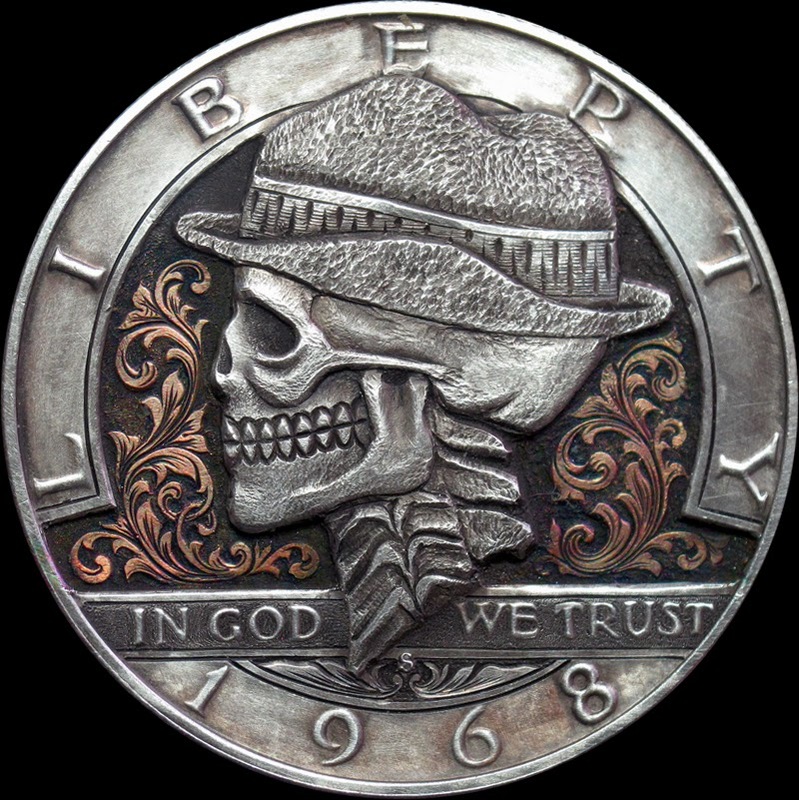 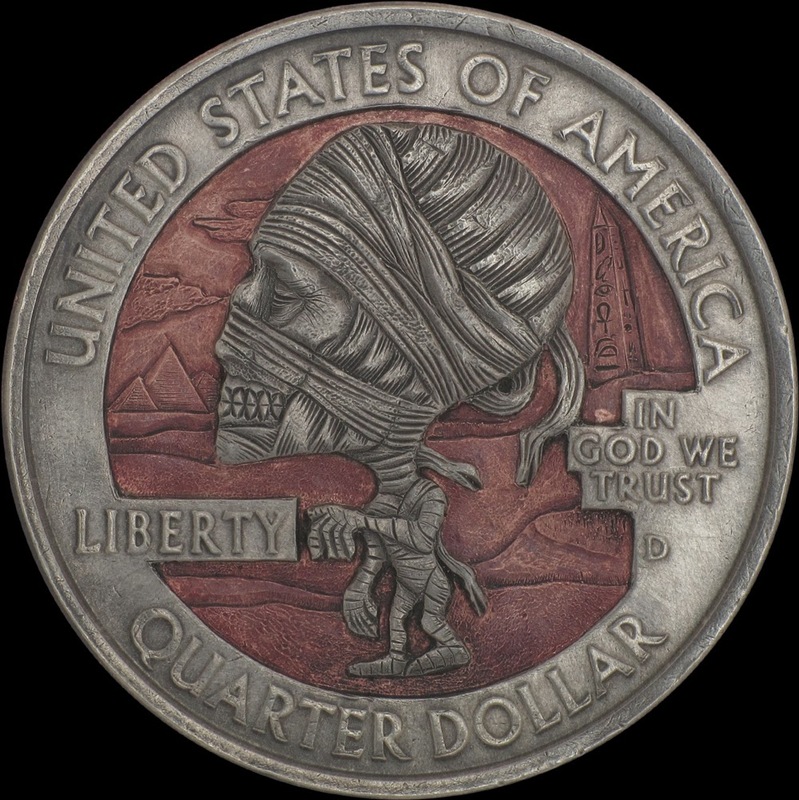 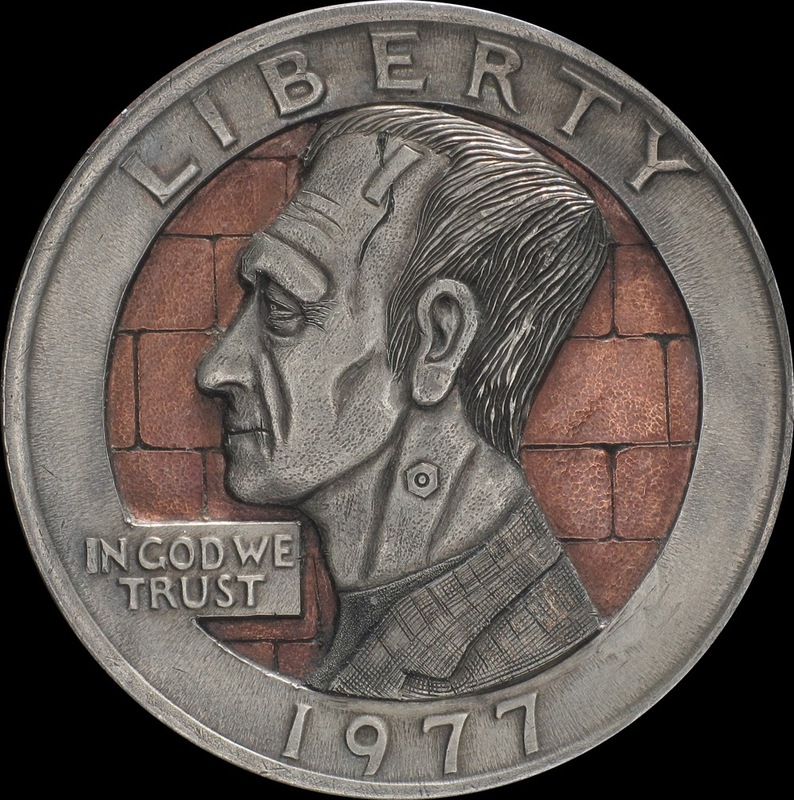 This form of Art is called Hobo Nickels, which makes use of small denomination cons on which the sculptor carves his own work. 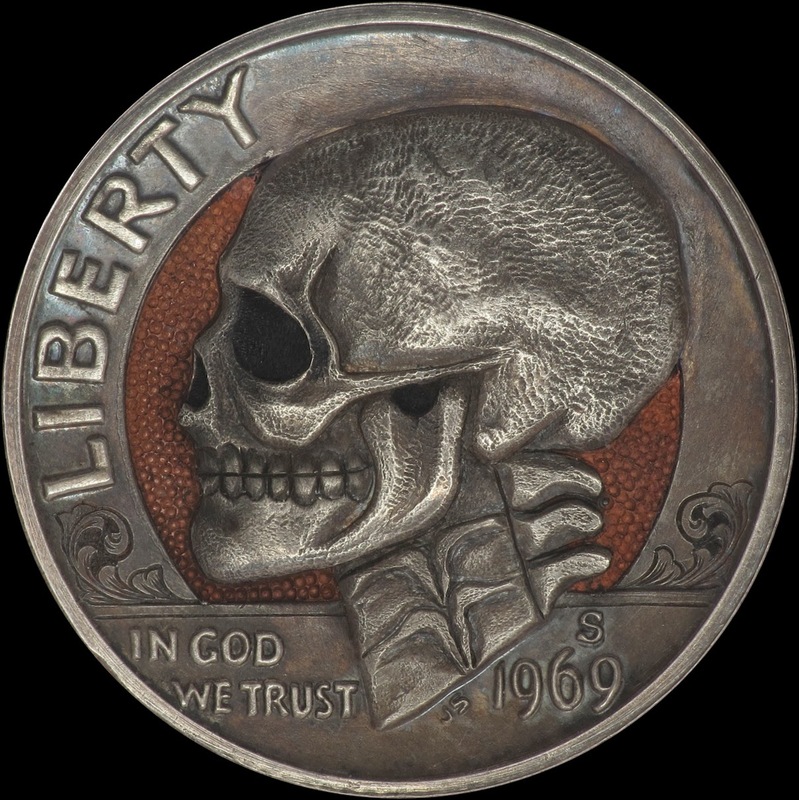 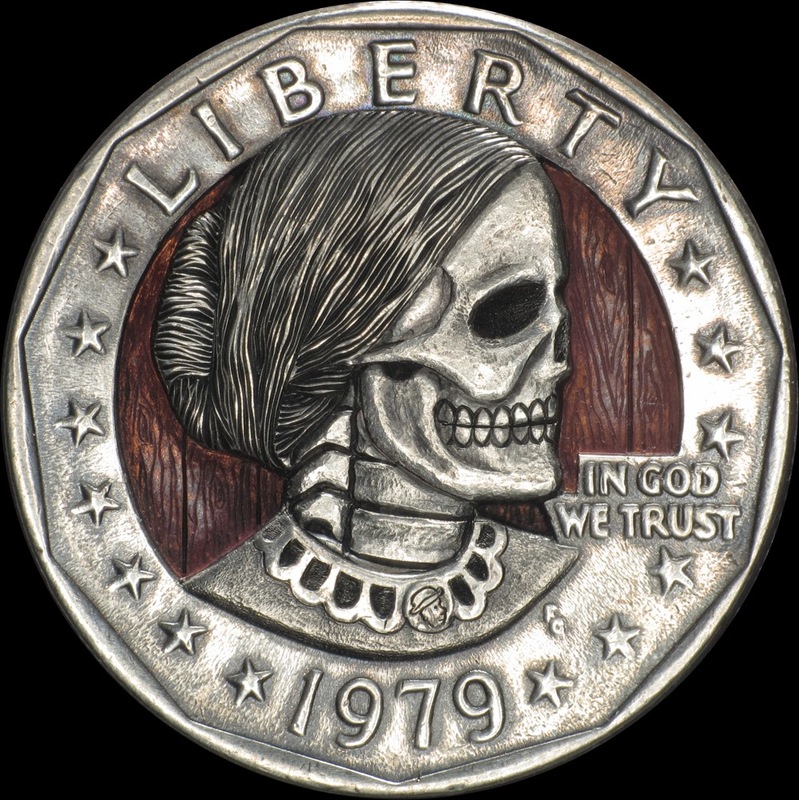 Paolo Curio aka (MrThe Hobo Nickels) creates portraits and representations of Historic Figures, Films and Skulls. 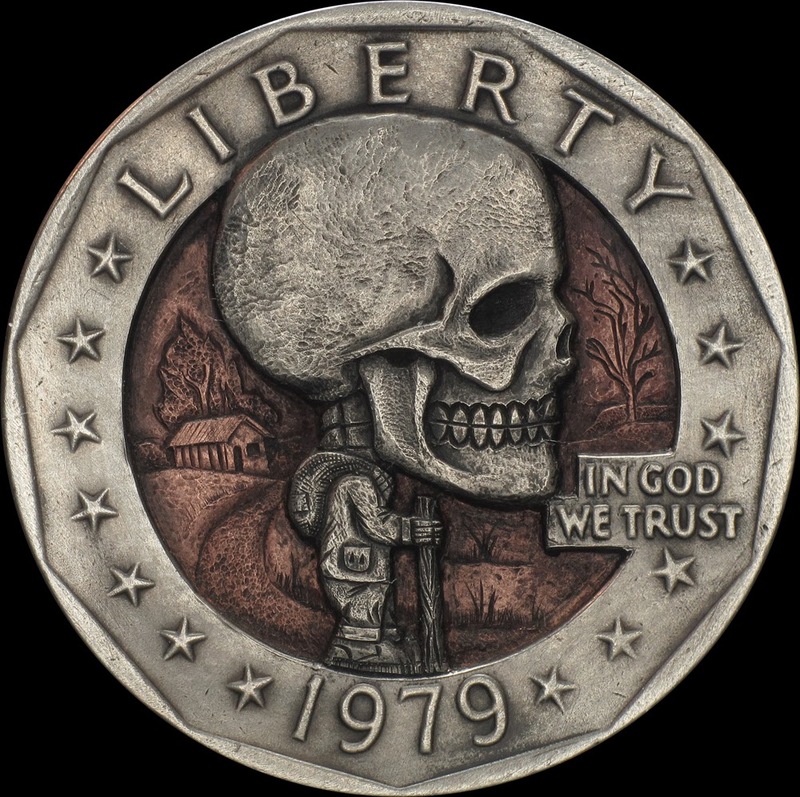 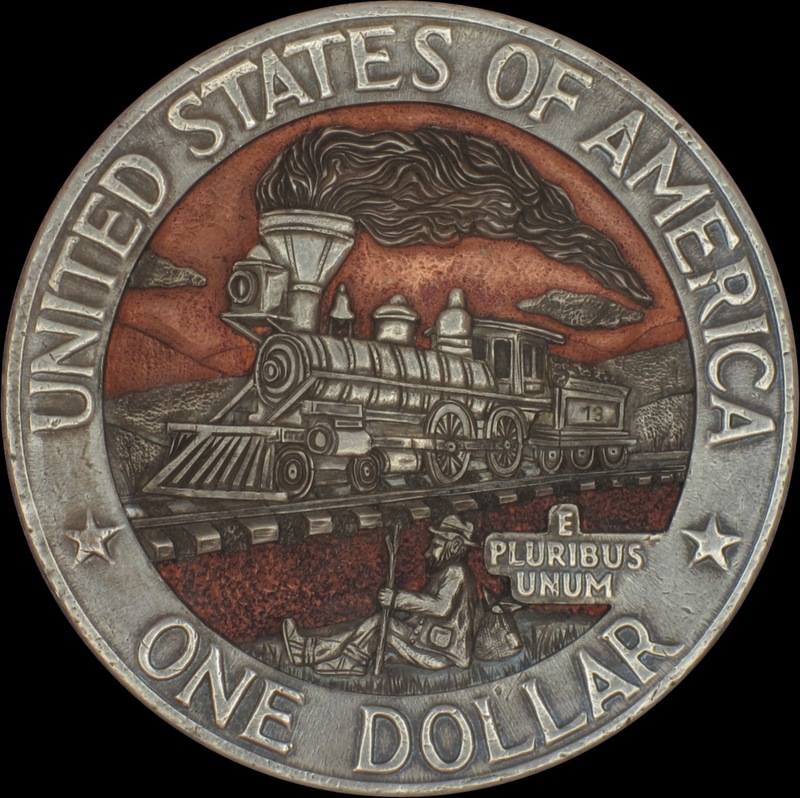 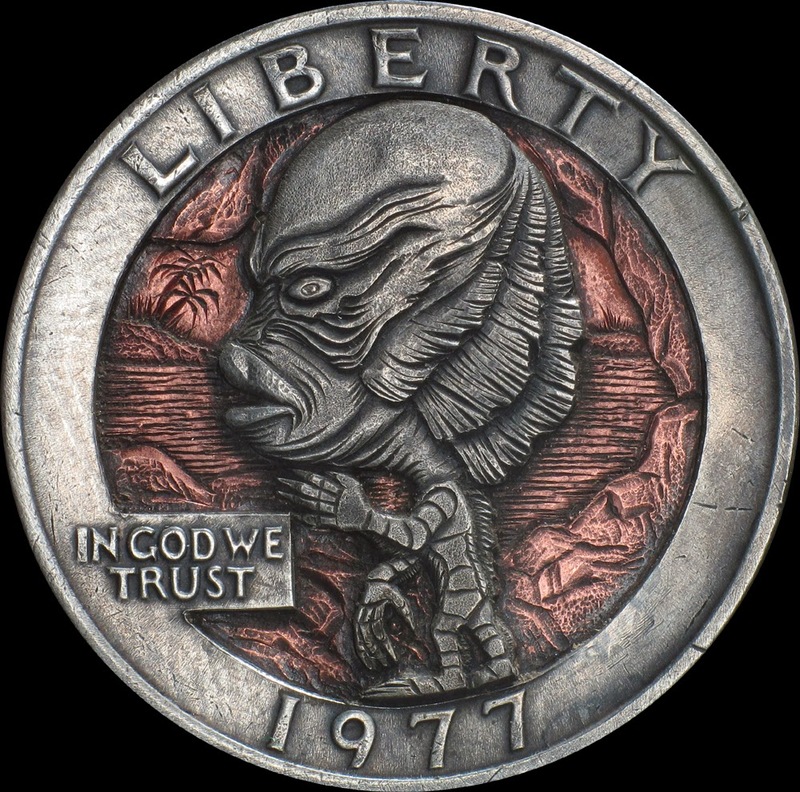 We have chosen the last one as it is the most used theme in the Hobo Nickels Art. 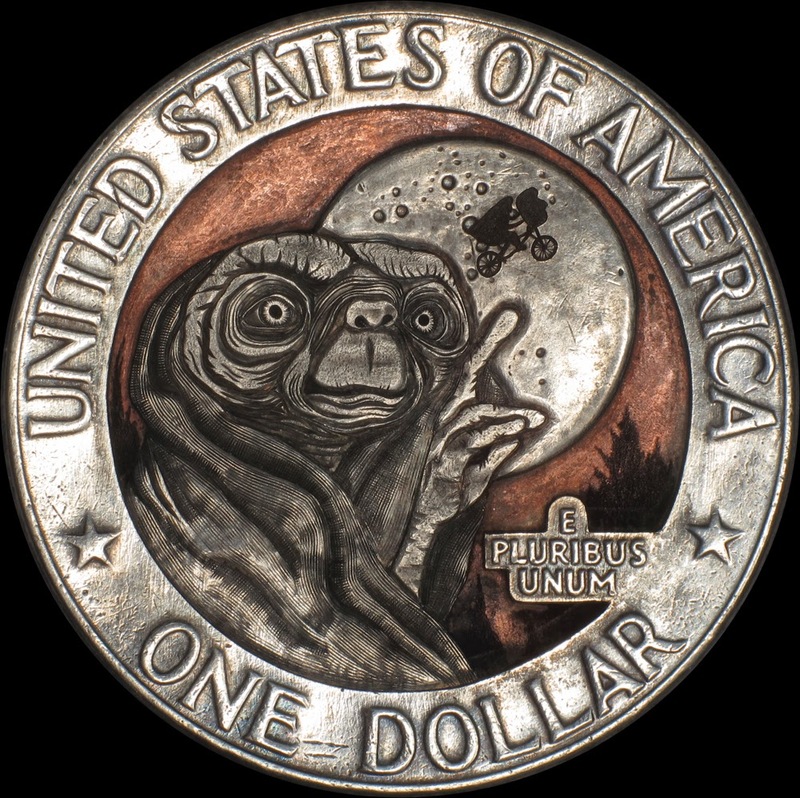 Once in the article you can enlarge the image by pressing it (not the first one). 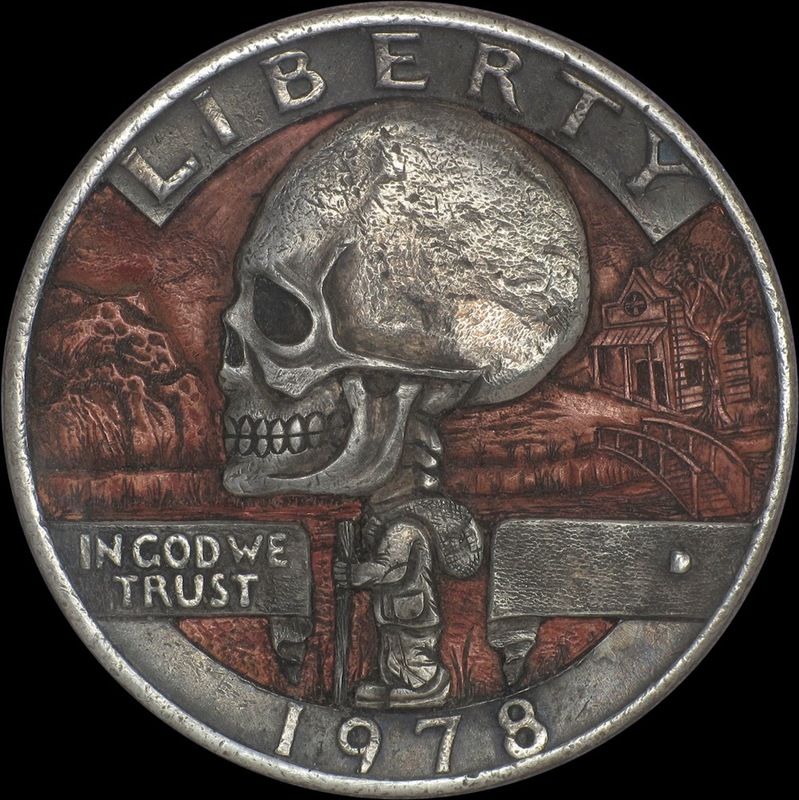 You can then see the amazing detail on such a small coin. 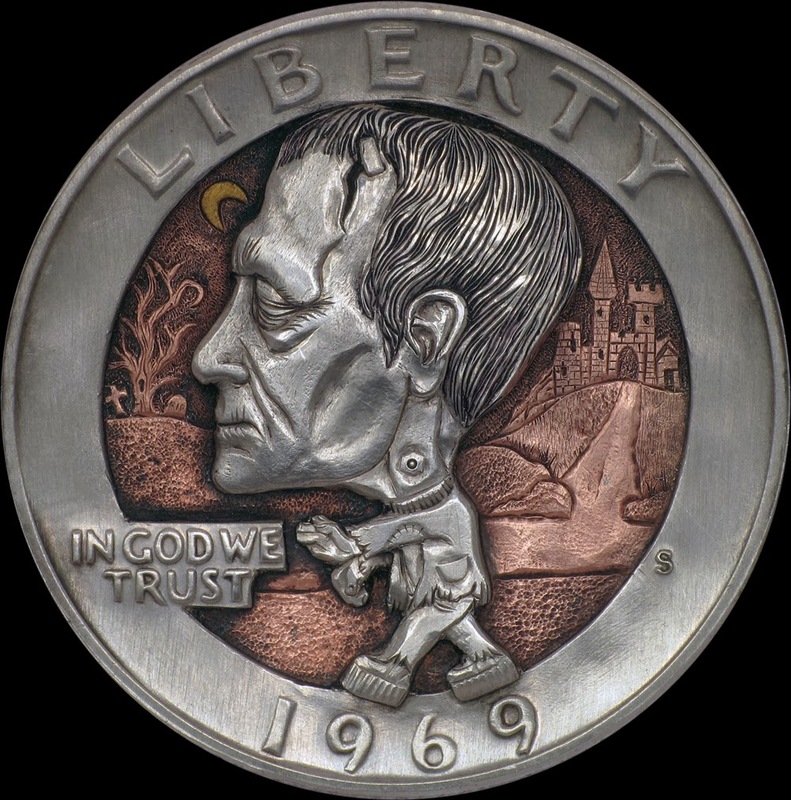 Frankie Big Head Mini Man. 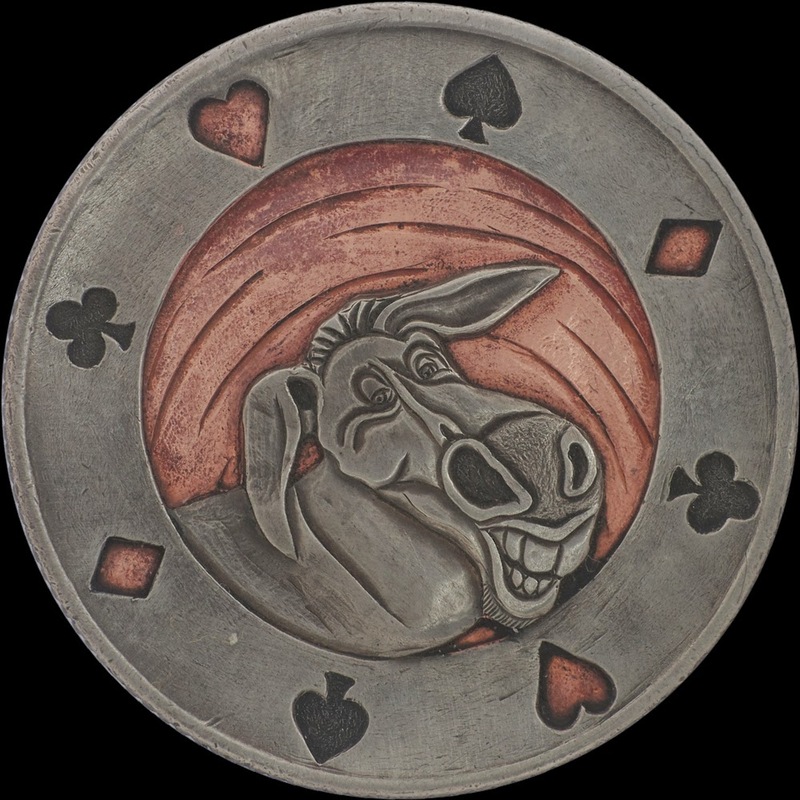 If you press Paolo Curio in the article above, it will take you to the maker and you can enquire about buying there.